The ISO image if Ubuntu 17.10 is about 1.5 Gb in size. I "burnt" it onto a USB stick. 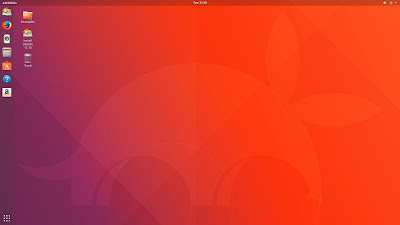 Nothing is changed in the boot sequence of Ubuntu 17.10. There is still only one question before you get to the default desktop, and that one is a choice between the Try and Install. I chose the Try option, because this is a review of the Live operating system. 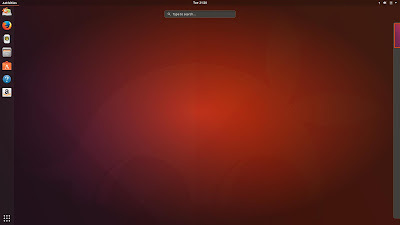 After few more seconds, I landed onto the default desktop of Ubuntu 17.10. 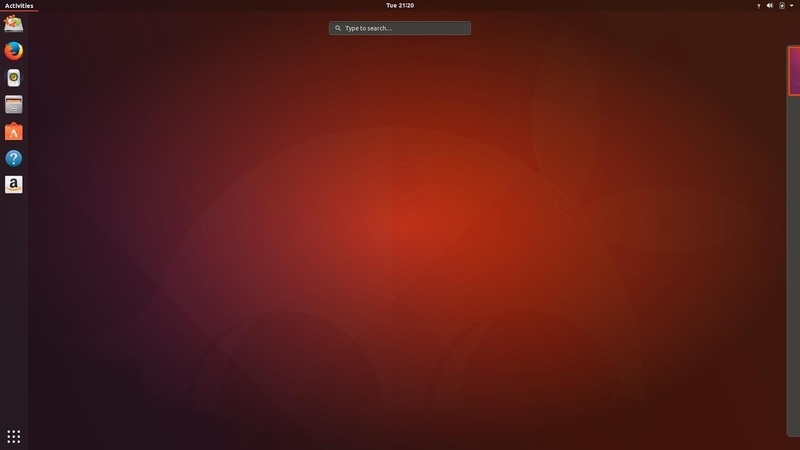 Ubuntu 17.10 gives you a standard GNOME 3 desktop after booting up. There is a panel at the top, a dock/panel at the left and a pop-up panel at the right which is only visible in the Activities mode. 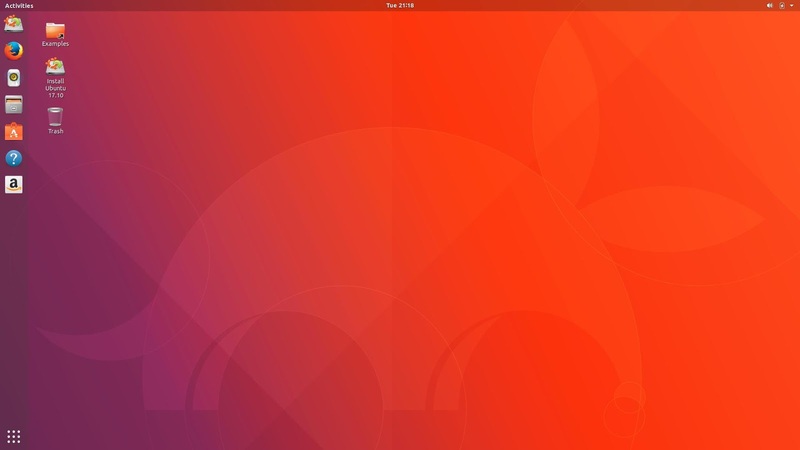 The default wallpaper is in famous purple and orange tones with a silhouette of an aardvark on it. The codename of Ubuntu 17.10 is Artful Aardvark. If you don't like the default image, there's a choice of about two dozen available with a right-click on an empty space on the desktop and selecting the Change Background option. You can change images for the desktop and for the lock screen separately. The window control elements have (finally!) been moved from left to right, so you have less trouble getting used to Ubuntu if you migrate to this operating system directly from Windows. 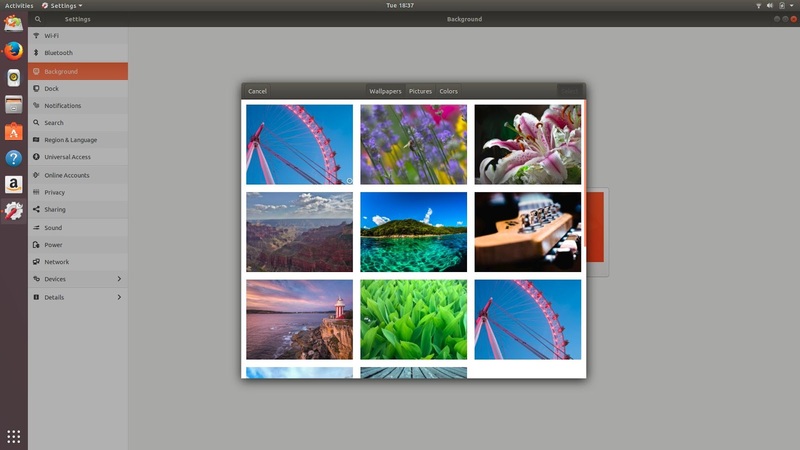 The top panel contains an Activities button at the top, which you can also activate by the Super (Windows) keyboard button. Next to it sits the name of the active application with a short drop-down menu. Clocks are at the middle of the panel. The right part of the panel is taken by the notification area with wifi, volume and battery indicators only. All other control elements of the notification area, and more actions for visible elements, are accessible from the menu drop-down. The left part of the screen is dedicated to dock / shortcuts. There are few icons there by default: Install, Firefox browser, Rhythmbox, file manager, Software Centre, help and Amazon web store. There is a "Show Applications" button at the bottom of the panel, which works similarly to the menu button. Of course, you can add more icons to that dock. You can also control the width and behaviour of the dock by going into the Dock section of the Settings panel. You can even move the panel to the bottom. In this case, the menu button moves to the bottom-right part of the screen, which is a bit unusual. The menu itself is not broken down into any sections by default. The only grouping you can see is that "Utilities" are moved to a separate menu folder. The contents of that Utilities group is very strange. For example, the PDF viewer application is there, while calculator is not. You can create your own groups yourself, but this is a long and windy process as per GNOME Wiki. The Activities screen is in GNOME to show you the list of active application windows, and also a list of virtual desktops. You can rearrange applications between the desktops if you wish. There is a search function available for both Activities and Menu screens. Given that there is no application grouping in the menu, search becomes the only alternative to manual scrolling if you want to find an application in the system. Unfortunately, that search function is rather glitchy. We'll come back to that later. Alt-Tab key combination allows you to switch between the applications, but not between the windows of the same application, if you happen to run several of them. The freshly booted system took about 1.1Gb of memory, which is huge in my opinion. 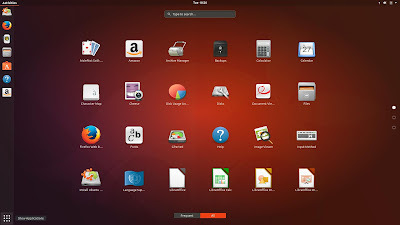 Ubuntu 17.10 gave no issues to me in configuring and activating of the wireless network card of my laptop, although the way to connect to wireless network is very complicated in a GNOME 3 desktop environment. You need to click at least 4 times to select your network, and then type in the password. At least you only need to enter the password once, unlike KDE. Ubuntu 17.10 comes with English US keyboard layout by default. If you want to change that, you need to go into the Region and Language part of the Settings panel and configure the set of your layouts there: add, remove, rearrange. The hotkey for quick flipping between layouts is configured in the Devices - Keyboard part of the settings panel. There you have the set of different hotkeys, including keyboard hotkeys somewhere near the bottom. Unfortunately, you cannot configure my favourite hotkey Ctrl-Shift in GNOME 3. The hotkey needs to include a "real" key while both Ctrl and Shift are "technical". As you can see, the process is slightly different to what I described earlier in another article. The design of GNOME 3 control panel got an overhaul. 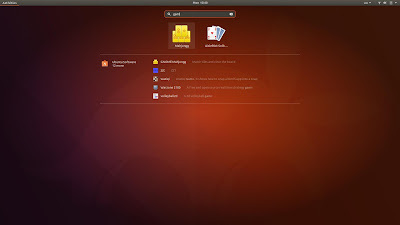 Ubuntu 17.10 includes some basic applications in the menu, but the list is not large. Because there's no proper structure in the menu, I'll only give you highlights without much grouping. Firefox 56 is the default and the only browser available out of the box. There is also Thunderbird email client, but no torrent or internet messenger applications. LibreOffice 5.4.1.2 represents the productivity tools. There are only core applications without Math and Base components. There is no disk burning utility, but there is Rhythmbox and Video players available. 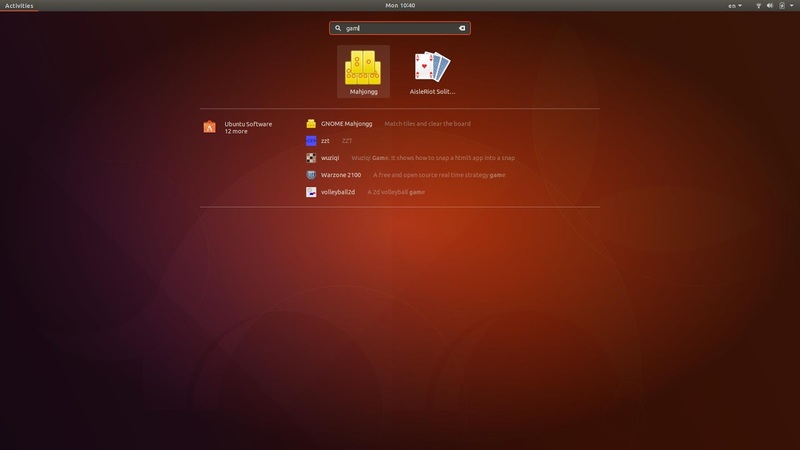 There are some simple games available in the menu of Ubuntu 17.10: Sudoku, Mines, Mahjongg, Solitaire. By the way, the menu search for "gam" does not show Mines or Mahjongg, so the search function is far from ideal. 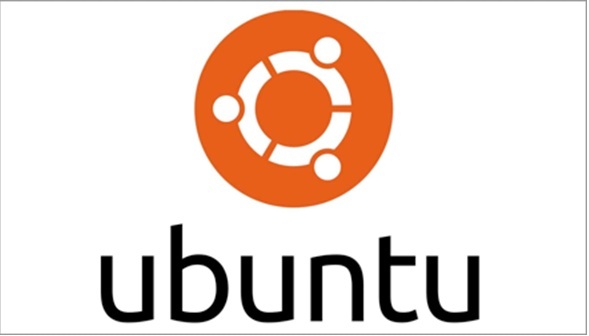 The Ubuntu Software is the default tool if you want to install or remove an application in this operating system. I tried it briefly, and realized that it lacks the very basic feature you expect from the software management centre: to update the repositories. And the repository available after the boot is not very good, otherwise why could I not find Pidgin or Geary applications in it? Ubuntu 17.10 comes without necessary codecs to play video and audio files. You get a message about the missing codecs, and there is a button to install them. 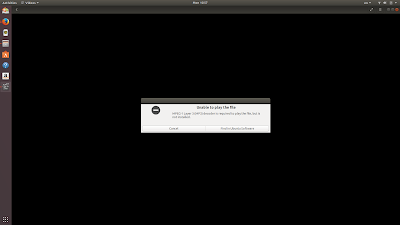 However, the button takes you to a black screen of Ubuntu Software Centre with an "Unable to find" message on it. Luckily, Firefox was able to play YouTube videos. Neither 1tv.ru nor Vimeo nor BBC iPlayer videos were working for me. The reason was in missing Flash player. 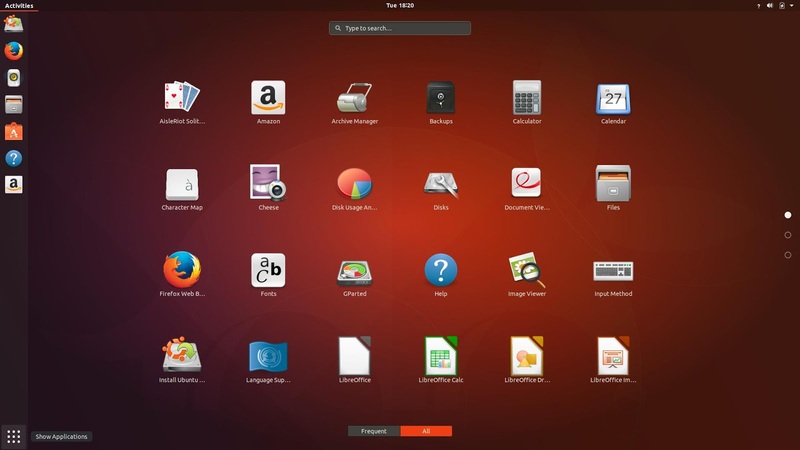 Canonical decided to re-marry its Ubuntu operating system with GNOME Desktop Environment after few years of divorce. How good is this new family? In my opinion, it is far from ideal. 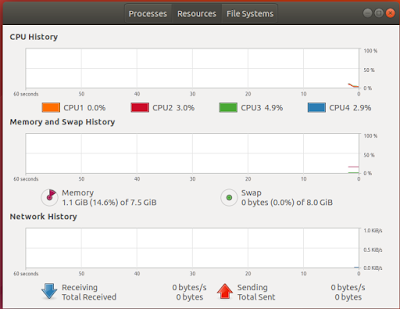 The last Unity-based Ubuntu was way more usable and convenient for me as a user. There are too many inconveniences in GNOME for me. Maybe things will improve in the next LTS release of Ubuntu 18.04, but for now Ubuntu is a no-go for me. Want to try it yourself? You can order your own disk from the BuyLinuxCDs.co.uk site! Gnome is not very intuitive UI. Given that the UI team in canonical got a beating after unity waad discontinued, there does not seem to be dedicated QA work going on else this UI would not have passed. After using the polished unity desktop, this feels like Ubuntu has gone a few years back and taking with them their users too. Vanilla Gnome3 is really not a very friendly interface for me and my workflow. It fails miserably in functionality and usability in a multi monitor setup. Thanks! At least I'm not the only person with these thoughts! 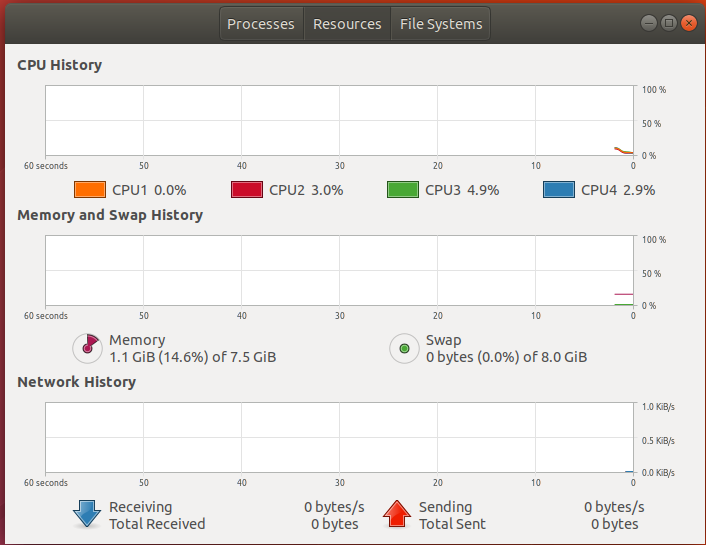 My reason to use Ubuntu and mass deploy it is Unity, now with that gone time to look elsewhere. I use Gnome 3 latest with my Arch installation on the Ryzen machine. Every now and then Gnome would throw errors from time to time and every update to Gnome would mean to be wary for system not booting. With Unity on LTS by this stage Unity has matured enough to be a stable deployment minus all the issues of a experiment on box. Sadly now have to look for another alternative. Do you think 18.04 LTS version will mature enough with GNOME DE? I think GNOME has improved a lot. But I dont know how resource utilisation of 1gig+ is acceptable. You can get GNOME to be more user friendly but why all the effort. So many smarter alternatives. For me the best Ubuntu releases currently are Mate and Kubuntu. Agree, Kubuntu is good. Let's see if Canonical is able to pick up GNOME development to a higher level and polish it. Ubuntu might be good for a laptop. Bot for those of us on a desktop computer with large monitor(s): why would we want to use Gnome3 or Unity, and waste all that screen space for nothing other than wallpaper? We want to use the entire desktop for widgets and other control perks. I choose Kubuntu for myself, and if that fails then I'll try Mate next. I have Kubuntu on my laptop, and I have no plans to switch to Ubuntu in its current state. 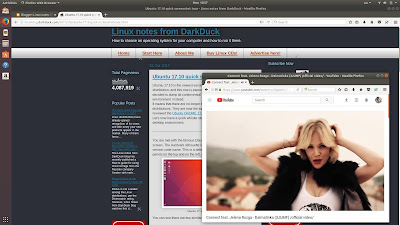 i too just installed "cinnamon" DE on top of ubuntu 17.10 and it was the most user friendly desktop. That's good. Would you want to share your experience in a more advanced guest article? Two or three years ago I switched from OpenSuse to Ubuntu. After "upgrading" to 17.10 on my notebook, and also upgrading my work desktop from SuSE 42.2 to 42.3 (KDE), I have decided to go back to SuSE. Ubuntu took a huge step backwards, and SuSE took a step forward, so there is no comparison now. Another factor in my decision, was the dropping of Ubuntu phone/touch, and the capability to use a phone as a PC when connected to a monitor (Have it on my Nexus 7). I actually prefer zypper to apt-get, and I love YaST - haven't found anything remotely as capable on other distributions. OpenSuse was the second distribution I've tried (think it was 6.2 at the time) and I also use SLES on servers (some Redhat and CentOS too, if I have to), but all rpm based. I believe the GNOME DE can be made to work very well with the help of a number of shell extensions and the use of tweak tool. But that's the difference between GNOME on one hand, and KDE and somewhat Unity on the other. GNOME is an added-to DE, the others are come-with DEs. GNOME has always been thus. 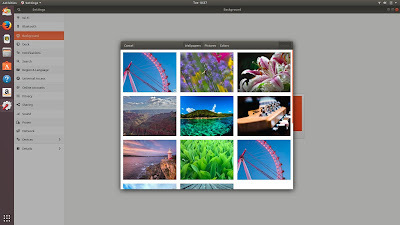 And GNOME takes some getting used to, just as Ubuntu users had to learn all the ins and outs when Unity arrived. Such as the Disks utility that comes-with and handles making bootable ISOs (and a number of other functions). I have high-hopes and no doubts that Ubuntu and its huge user base will be good for GNOME, and that will lead to GNOME lending itself to be more usable for in other distros, as well as Ubuntu. Thanks for the review. It's raw--not that much in-depth--but about the most one can expect from a Live-only review. It is easy to tell it left a bad taste in your mouth, and the negative may be more important for Canonical to hear than the positive. You're probably right, one can do a lot with GNOME by adding different plugins and extensions. The question is that this knowledge is much more difficult to obtain that ability to configure things line in KDE or Xfce. Some of these configs are too difficult for the beginner, like folders in the menus as I mentioned in the article. Well, time will show if Canonical can polish GNOME as it did with Unity. Once again we disagree wireless is very simple to set up. I don't know how you do it but for me its its in the right hand drop down menu you click on it enter password done. Also I never understand the arguments about extensions gnome comes with some default extensions just like KDE has a few widgets the rest have to be downloaded but that seems OK if its KDE. like shipping KDE without settings installed. The other thing is the ram used in the live media Using arch on metal I see 450Mb that compares with KDE, and this is why reviewing live ISOs is not the way to review also some distros have different software on a live disk to what is installed. That said it was a fair review and Ubuntu will improve over time i'm sure. @Vikash icon scaling is part of tweak-tool settings by the way. You are right, it's like KDE without Settings installed. But WHY does KDE come with this feature and GNOME without? I counted the number of clicks before I reach the wireless network name: there are four. Compared with one in KDE and other DEs. Comparing Live distros give them all the same ridge: you provide, I review. If something is missing, that's not because I didn't install, but because you din't provide. The ram used by Gnome doesn't change all that much on install. It's just a whole lot heavier than KDE. Simple maintainers can't be bothered to check anything 1st, unless its KDE then its because the backlash. Other users are as a whole quiet and content folks, more wanting to get work done than play with things. Well that's how I see it anyway. Haha, maybe you're not too wrong. that's absolutely true. it's an intruder in my work. Listen, I realize not everyone will agree with me on desktops, but that right there? is the beauty, the draw, the sheer joy of using Linux! The fact that you can install whichever desktop suits YOU, and not what some company dictates your desktop should be. Windows and Apple have both fallen into this category, and you cannot change certain aspects of a Windows 10 machine, and as for Apple? just forget about "customization" altogether! And finally, Mr. Duck? You forget something: Almost every version of ".10" series of Ubuntu are the "Testing" version of Canonical's product of Debian-backed software. So things might not always work as expected. But in the ".04" releases, those are the versions that are running from the "Stable" branches of Debian, so things are a lot smoother, and the apps that you say are missing from this build? usually are present in the ".04" LTS versions. Its almost common knowledge that if you're going to install and run Ubuntu, you ALWAYS go for the ".04" version and avoid the ".10" versions.If you need prof go check out the release version of Ubuntu on forums, and do a comparison to the complaints / issues people had when running the".10" versions as opposed to the ".04" versions...you'll see that there are a lot more complaints about issues that sometimes,..no MOST times aren't present in the LTS ".04" builds. Thanks for your 2 cents, Eddie! Yes, there's a lot of improvements to be made! Let's wait and see; I've had some issues but only, I guess, time will tell if Gnome is good or not. That's MATE for you, if you want to have that look!